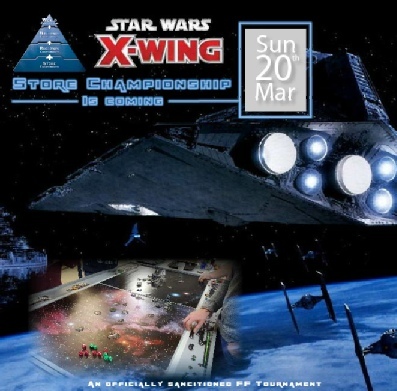 After the success and the growth of Star Wars X-Wing last year we have decided to participate in the official Fantasy Flight X-Wing stores championship first round. This tournament follows that of the X-Wing official tournament rule pack and which ever version is the latest at the time. 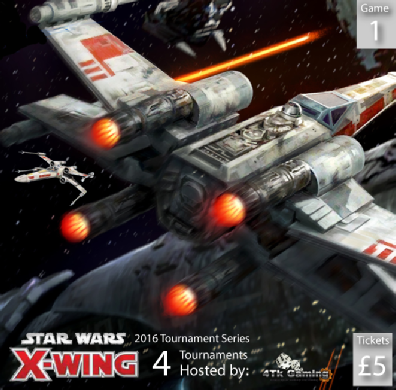 After the success of this X-Wing series tournament last year we decided to introduce it again for 2016. This tournament series is treated as 4 individual tournaments and follows what ever will be the standards official rule pack at the time of the tournament. At the end of the series an overall winner will be decided by the most tournament points of all 4 tournaments in this series.